The downsizing trend has finally hit Isuzu. 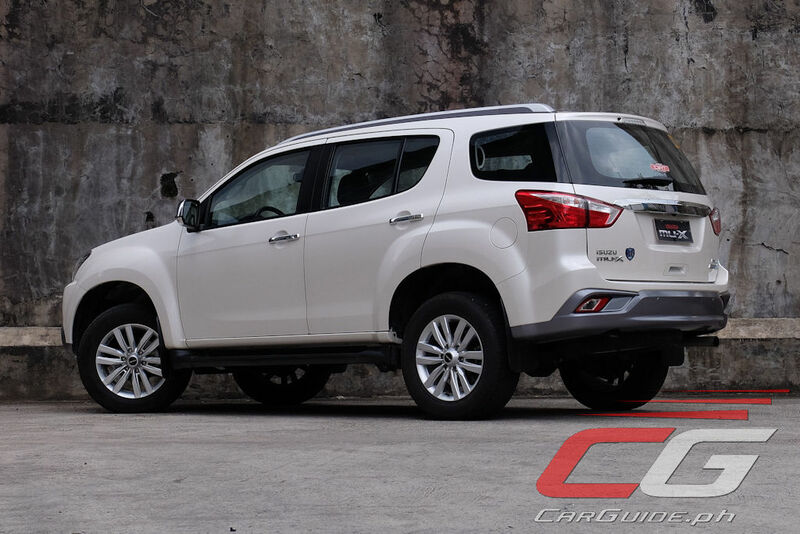 Known for their relaxed, high-displacement diesel engines, Isuzu has been a hold out in this global trend. Alas, the reign of its 2.5-liter 4JK-1 is finally over and in its place comes the 1.9-liter RZ4E. 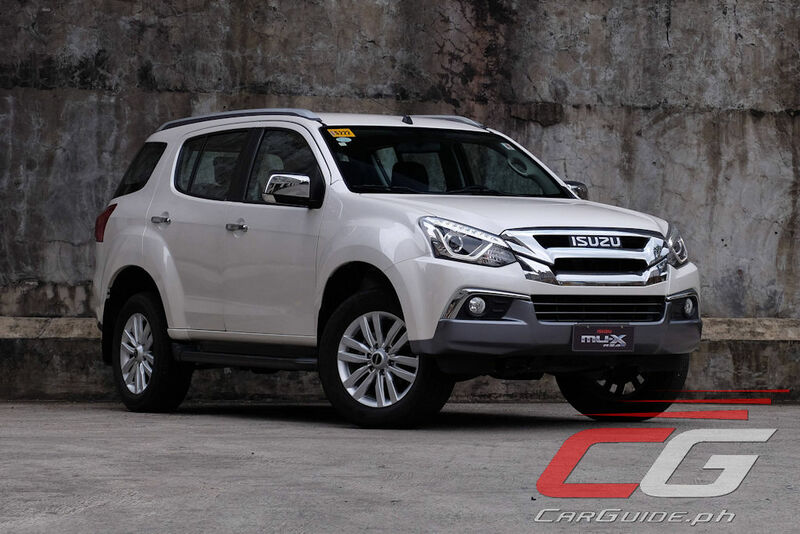 Naturally, opting for such a small engine—one that displaces a mere 1,898 cc—presents certain challenges, the biggest of which concerns power-hungry Filipinos. Will it have enough grunt to satisfy your need for speed; let alone carry the mu-X’s rather hefty frame? A two-week drive beckons to answer those questions. First off, let’s start with the obvious: it doesn’t look that different from higher-trim variants. 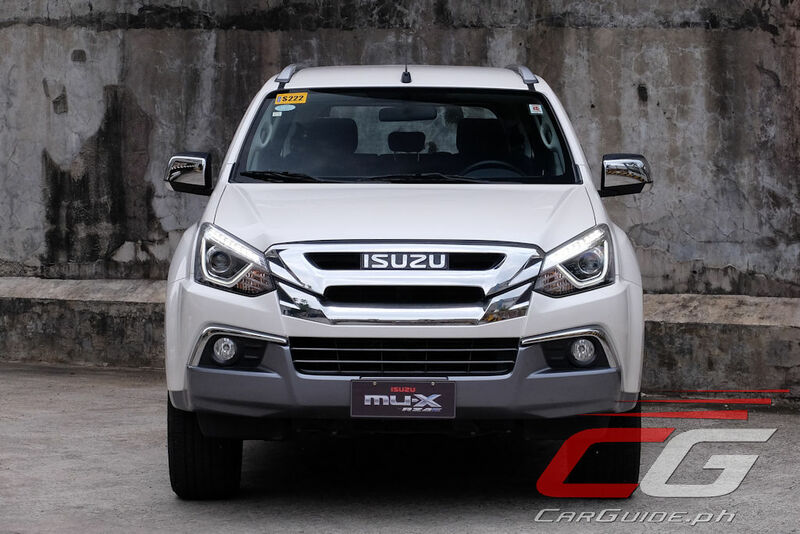 In a stroke of genius, Isuzu decided to outfit the mu-X 1.9-liter RZ4E almost identically to the 3.0-liter LS-A, casting any apprehension from the image-conscious buyer who wouldn’t want to be caught dead driving an entry-level model. 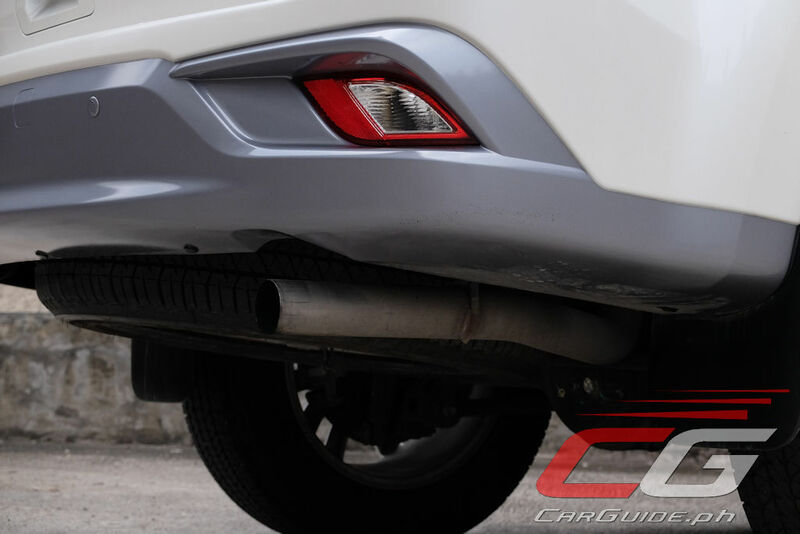 It sports the same bi-LED headlights, the same 18-inch alloy wheels, and even the same color scheme. It’s all the same barring the omission of the rear spoiler and tailpipe finisher, and of course, the addition of the “RZ4E Blue Power” badge at the back. The interior though tells a different story. The fundamentals are still the same: solid, robust, well-wearing, but it’s also been equipped or rather, stripped to a price. 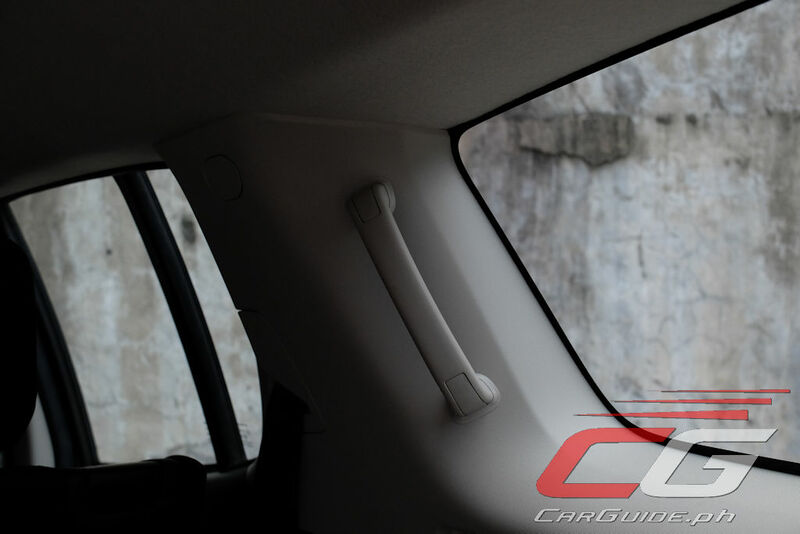 Gone are the leather seats, the power-adjustable driver’s seat, the cruise control, and even the 8-inch infotainment screen is down in clarity and resolution. These omissions or changes may sound like a downer, but spend some time behind the wheel and honestly, they’re not really missed. 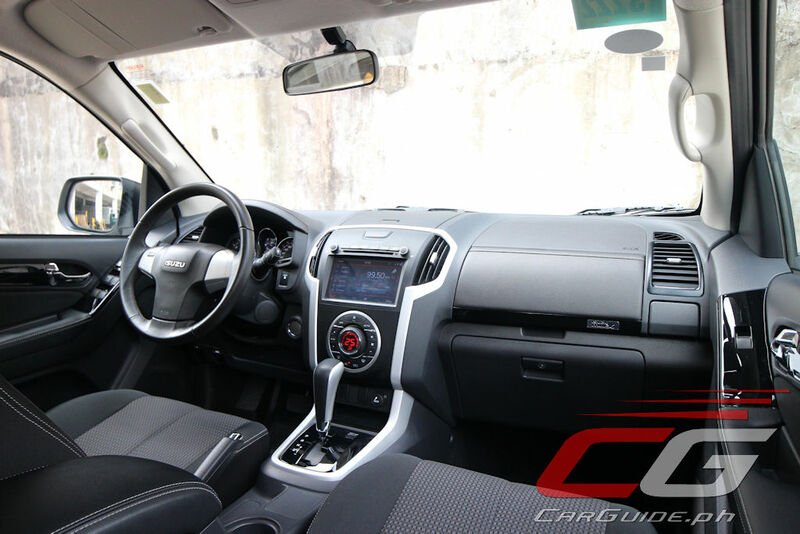 Isuzu knows their market really well and kept features which truly matter to Filipino families. 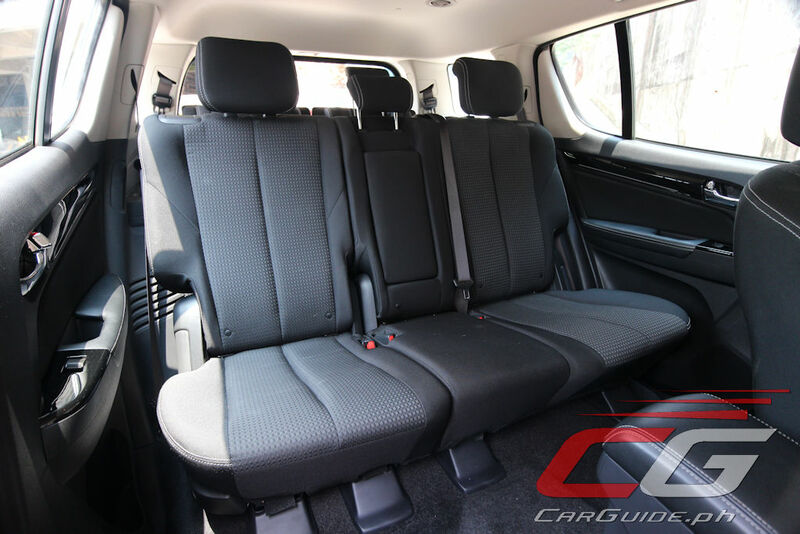 The seven seats, now trimmed in what Isuzu calls “Jacquard & Tricot” are comfy and supportive; the automatic climate control, with its big round dial survived the cut, and so did the 10-inch overhead rear monitor which means playing Barney and Friends on DVDs is still a possibility. 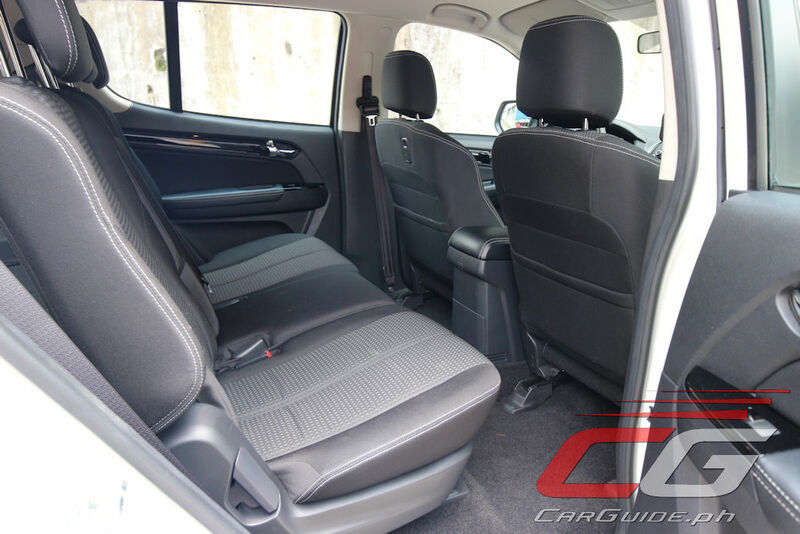 Compared to the changes done to both the exterior and interior though, the biggest one actually happens under the hood in the form of an entirely new drivetrain. Swapping the old 2.5-liter engine and 5-speed automatic, the mu-X RZ4E loses 600-cc’s of displacement and gains an additional forward gear. For a 1.9-liter engine, the power figures actually eclipse the outgoing engine generating 14 more horsepower and 30 Nm more torque to an even 150 horsepower and 350 Nm of torque. 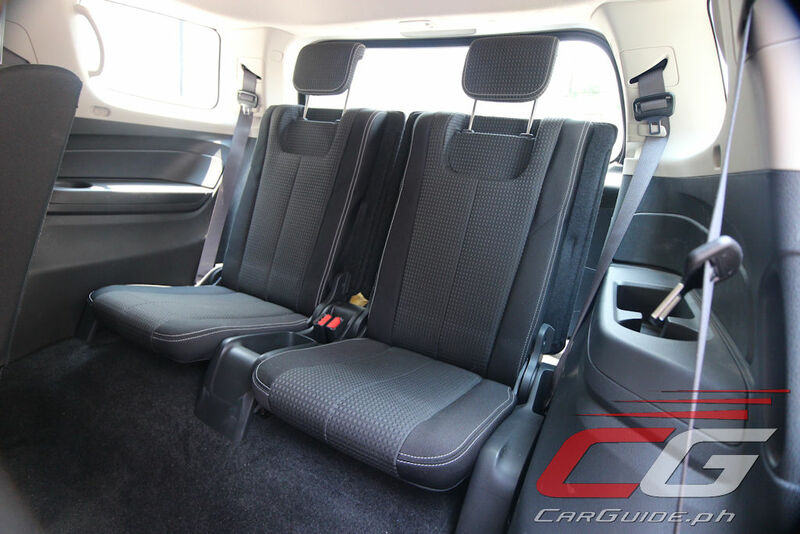 These figures certainly aren’t class-leading and on the road, they certainly don’t feel that way, but adjust your expectations and the mu-X comes across as a capable 7-seater commuter. 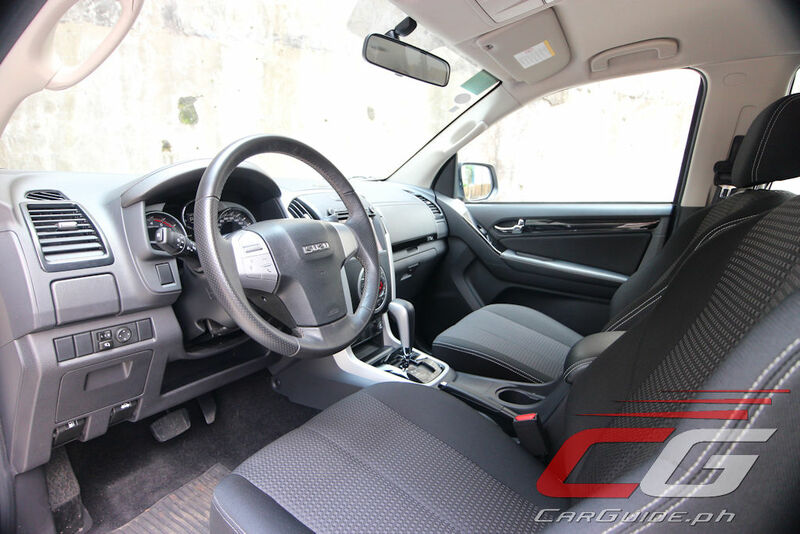 Driven back-to-back with Isuzu’s own 3.0-liter 4JJ1-TCX, the 1.9-liter RZ4E-TC is remarkably quieter with much less vibration. There’s still a telltale gravelly diesel sound between 1,500 to 1,800 rpm, but beyond that, it doesn’t raise too much of a ruckus. It’s rarely vocal and even if it is, it doesn’t raise its voice as much as the 3.0-liter engine. When left to putter as a Point A to Point B driver, power comes in smoothly with precise and concise shifting from its 6-speed automatic. The gearbox is conservatively tuned, shifting as early and as unobtrusive as it possibly can. For drivers who like to push their mu-X a little bit though, the RZ4E reaches its limitations quite early. 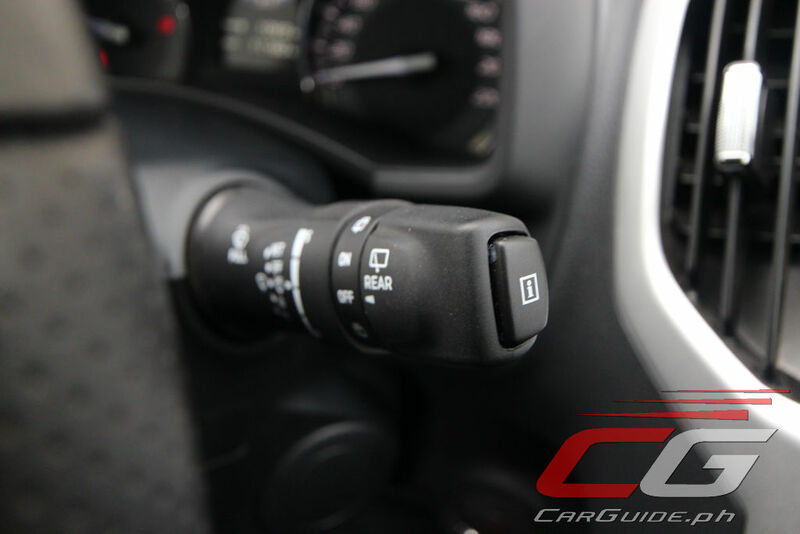 As peak torque comes in, there’s an initial feeling of surge, something you think will build up even more as the engine revs go up; only it doesn’t. This is all it has to give. 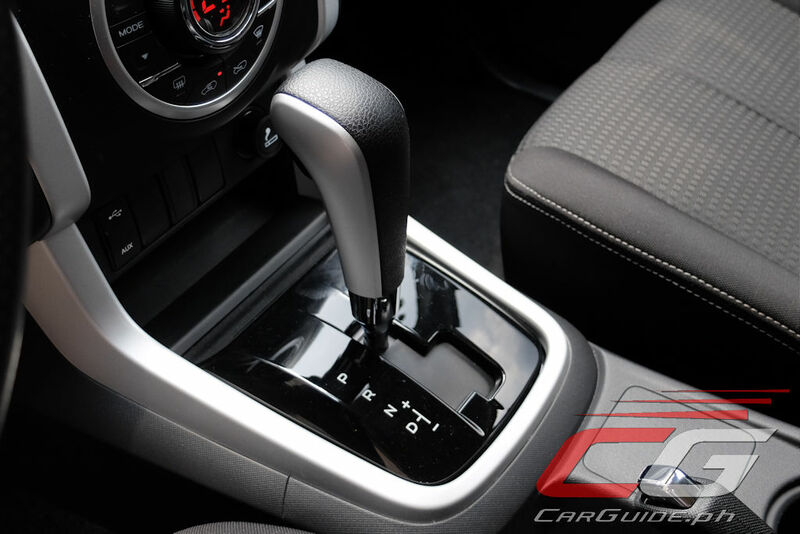 The transmission tries to keep up, shuffling its ratios up or down; but because it shares the same ratios to the 3.0-liter (except for its higher final drive), it just ends up confused. Don’t get it wrong, there’s usable power if you wring the engine, but it’s certainly not what the mu-X RZ4E is designed for. 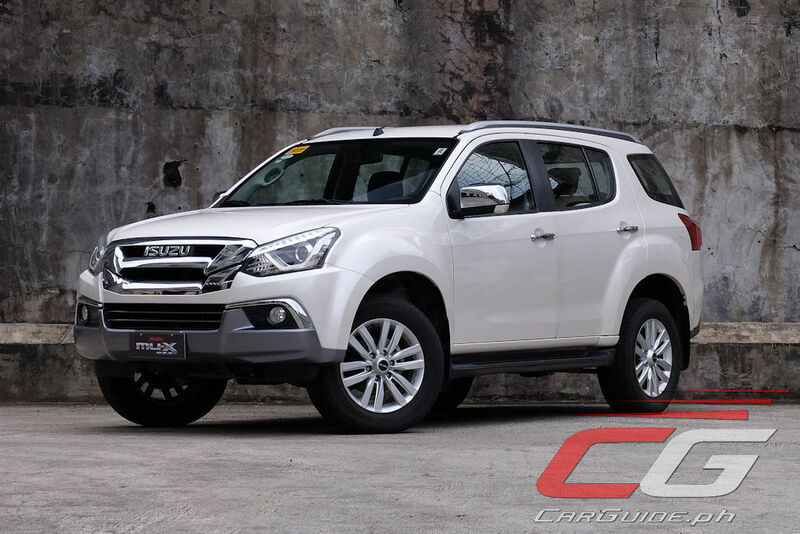 Isuzu reckons that the new engine and gearbox combination improves the mu-X’s fuel efficiency by around 20 percent compared to the old 2.5-liter engine and in real-life, it does. 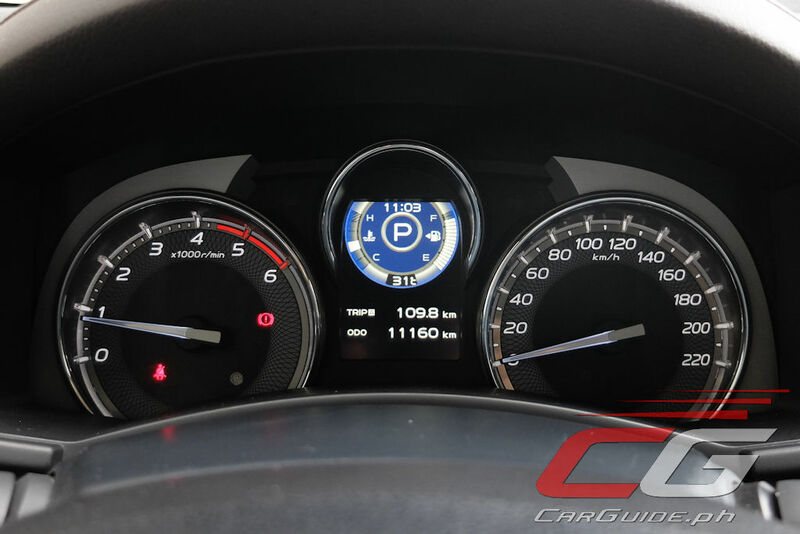 Our two-week drive figure rested at 11.11 km/L which is (surprise, surprise) exactly 20 percent better than the old 2.5-liter unit’s 9.25 km/L. With a 65-liter tank, there was no need to refuel it, not even once during the entire test drive period. 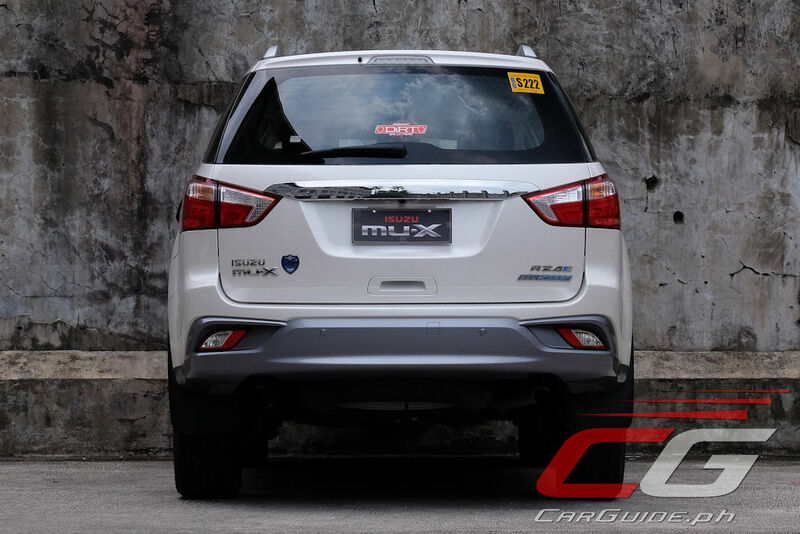 Thanks to its lighter front-end, the mu-X RZ4E certainly felt like a better drive overall. It’s still not the sportiest feeling mid-sized SUV out there, but there’s an added sense of agility lacking in the 3.0-liter model. This is mostly felt through transitionary corners—left-right-left corners—where it takes to them with more sure-footedness and less tip-in. The steering is also noticeably lighter than the 3.0-liter model. It’s still hydraulically-assisted, meaning it’s heavier than those using an electric power steering set-up, but at least this RZ4E is much easier to maneuver at low speeds. With less weight, the brakes also feel less worked here. 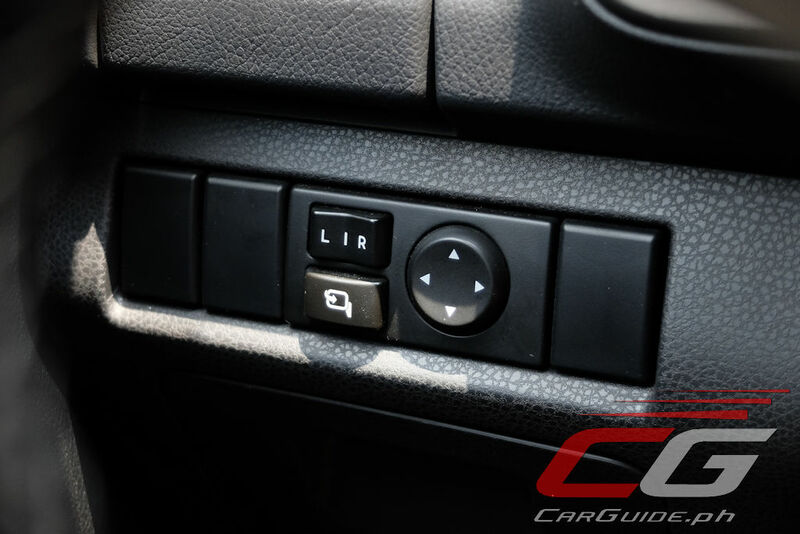 Safety-wise, the RZ4E omits the 3.0-liter’s Driver Assist package (Electronic Stability Control, Traction Control, Hill Start Assist, and Hill Descent Control), but at least keeps the dual SRS airbags, ABS with EBD, and rear parking sensors with a camera; it even has the 3.0-liter’s proximity key with push-button start/stop. 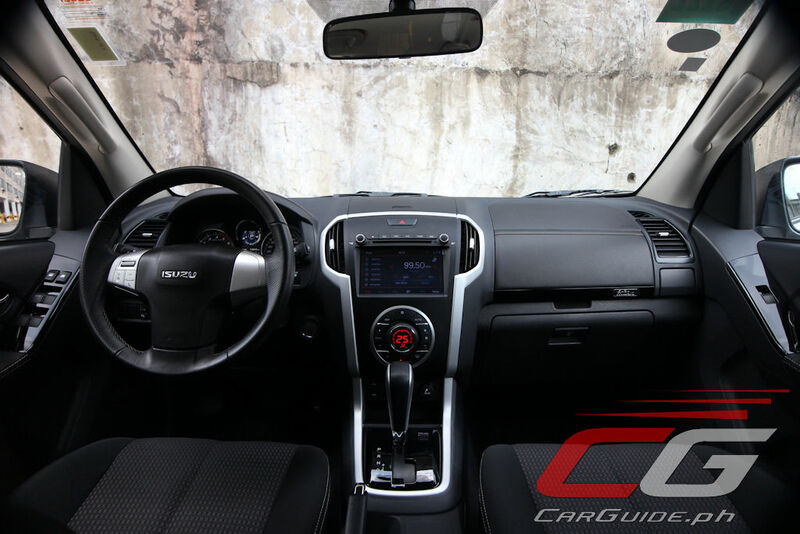 With a price tag of P 1,595,000 (or a savings of P 250,000 over the 3.0 LS-A), it’s pretty solid value. 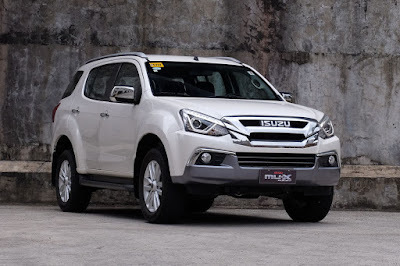 Judging and berating the Isuzu mu-X RZ4E simply for its smaller displacement engine is totally unfounded. For sure, it cannot deliver the same torque-y feel as the 3.0-liter variant, so those looking at towing heavy loads may look elsewhere. 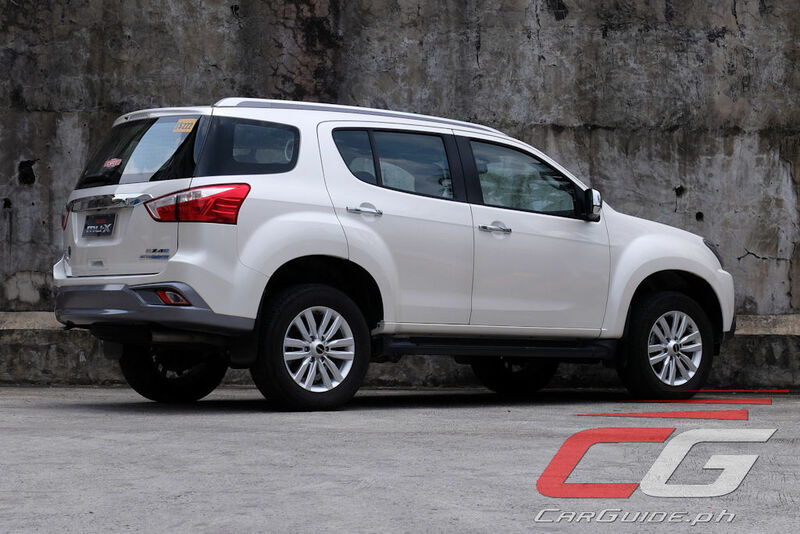 However, for the typical Filipino family man, it’s a very capable package—sensible, attractively-priced, and well-equipped. 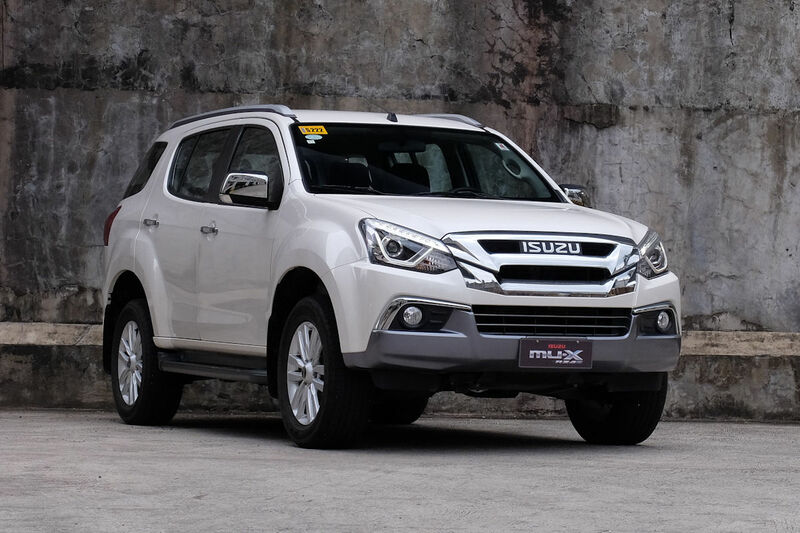 The Isuzu mu-X RZ4E certainly lives up to its expectations, regardless of its engine displacement. Which is better for daily use? the 2.4 fort or this 1.9 MUX? Parehas lang naman ang rating ng horses nila; actually mas mataas pa nga ata yung sa rz4e around 150ps vs. sa 147ps lang ng 2gd. Sa torque lang sila nagkatalo. 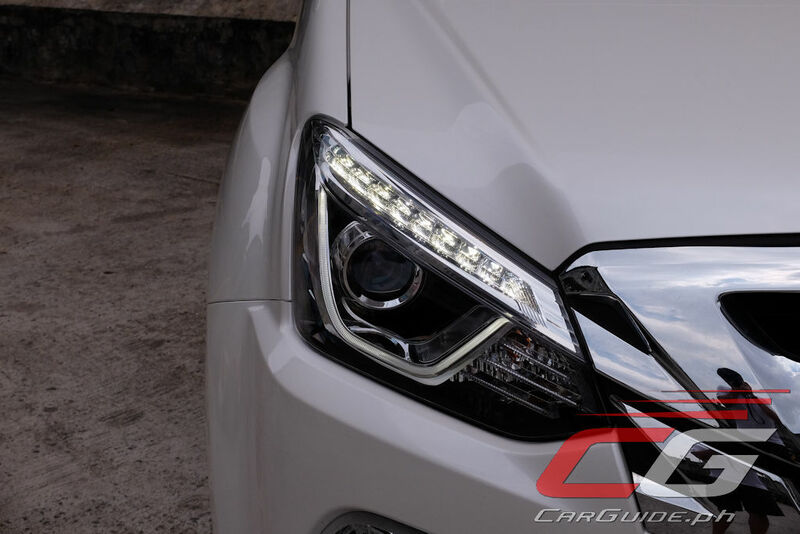 Syempre mas malakas yung sa fort na 400nm dahil mas malaki displacement kaysa 350nm lang ng 1.9l na mu-x. 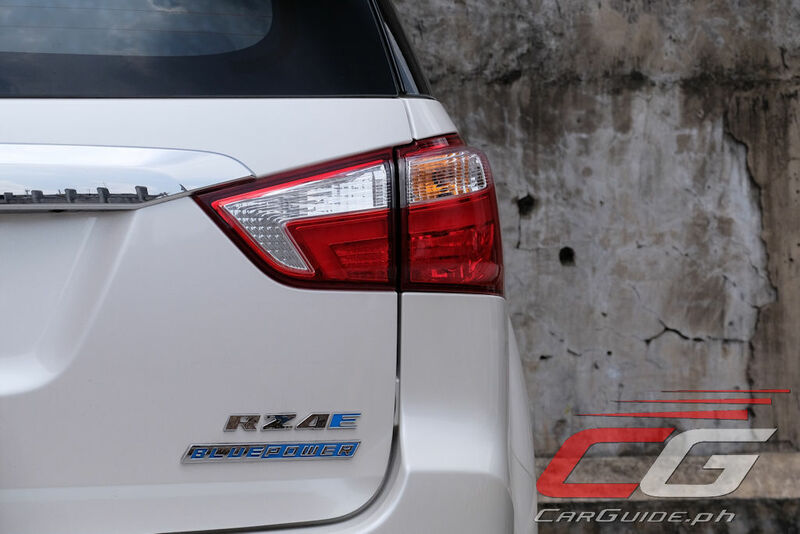 kaya po ba nitong rz4e ls-a at ang mga steep inclines gaya sa Baguio or Sagada? Tanong lang po, ano po kaya un sound n naririnig sa rear wheel left side, lumalagutok un sound.